Better block off that Saturday night. 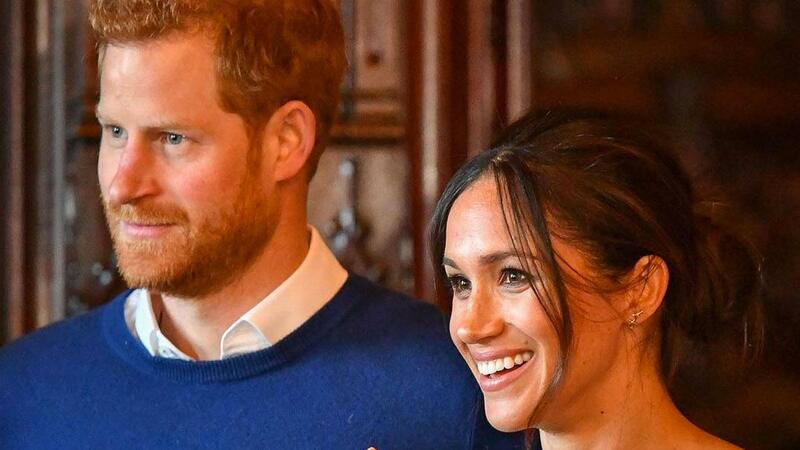 On May 19, billions of people across the globe will tune in to watch Meghan Markle walk down the aisle to marry the man (or the prince, to be exact) of her dreams. 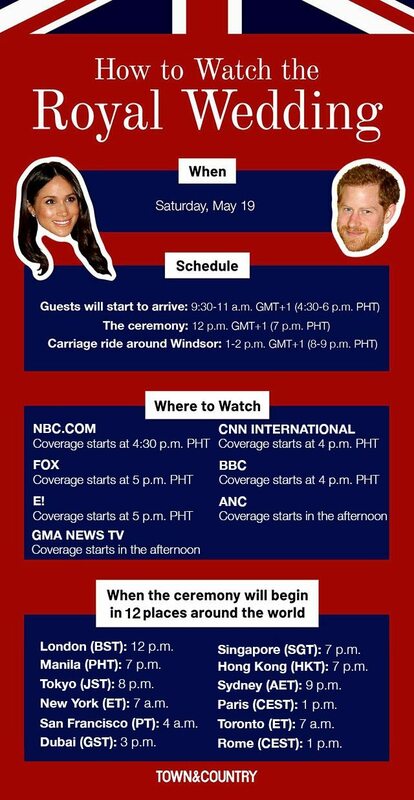 Filipinos can also expect other platforms to air the wedding apart from these broadcasted programs. Those who prefer to watch online can catch the coverage on NBC, Today, and The New York Times. Among the more unusual coverages is an HBO special hosted by Will Ferrell and Molly Shannon posing as royal correspondents. What we can expect to miss, however, is the evening reception that Prince Charles will host for his son and his new daughter-in-law, which will be an intimate event on the Windsor Castle grounds. The couple will also be skipping the iconic balcony debut, unlike Prince William and Catherine, Duchess of Cambridge, and Prince Charles and Princess Diana on their wedding night.